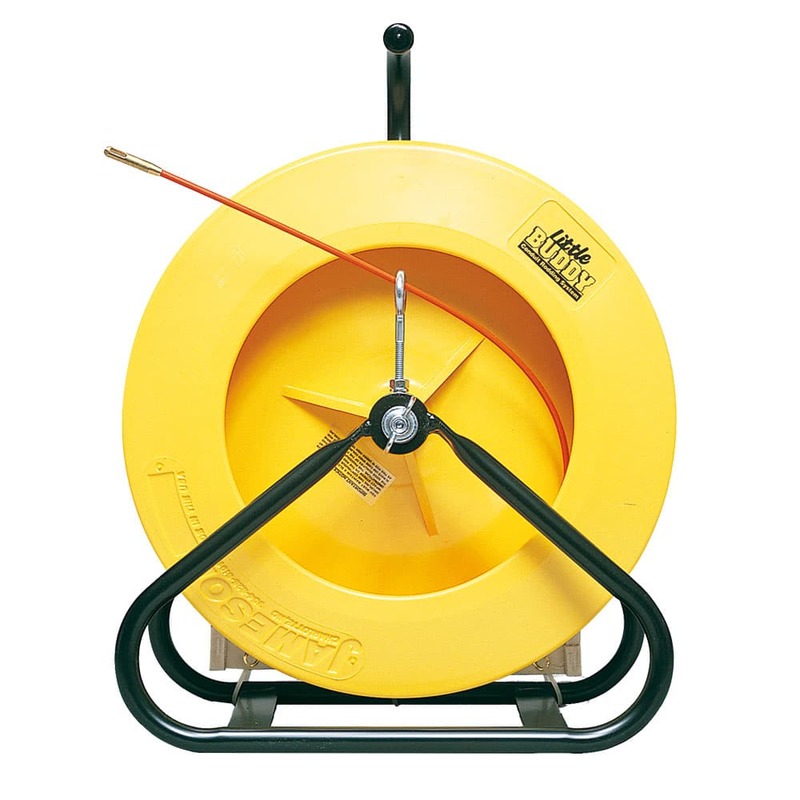 The Jameson Little Buddy Fish Tape is a handy accessory when locating in smaller pipes, from the septic tank to the d-box and even out to the drain-field. This lightweight rod is a perfect pairing to our FM-05 Mini Transmitter. Just add a Drophead with a 3/16” female end to the FM-05 and you are ready to locate. Will also work with our FD-10 Mini Transmitter with a Dropcap for easy attachment. Please order carefully. Once order is placed we can not change or cancel the order. This item can not be returned. Q: Can I use this with my FD-10 transmitter? A: Yes. You will need to purchase a Dropcap that will screw directly to the 3/16” pushrod. We also suggest that you tape the two ends to make sure it doesn’t twist off while in the line. Q: What is push distance? A: Push distance is the distance for best performance of the cable. This cable is extremely flexible and therefore can easily fold up on itself. For example, you might think you are still pushing it down the line but it could be stuck in one area just rolling over on itself. So to make this not happen only push to the recommended push distance. Q: Can you order any other sizes of Jameson push rods? I don’t see the size I need? A: Yes. We can order any size Push Rod you may need. Please give us a call at 800-541-9123 and talk with one of our sales people. Prices and lead time will vary.